Set across seven acres, the restored Monkey Island Estate is the most quintessential private and exclusive hotel in the delightful village of Bray. Over 800 years the slither of land downriver of Bray village has been the haunt of monarchs, aristocrats and artists, along with writers, famous performers and Berkshire locals. 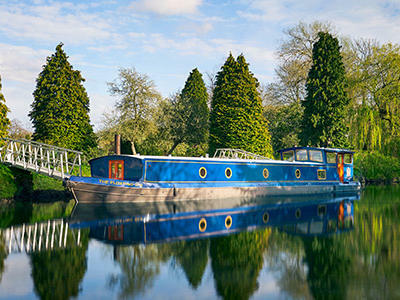 Beautifully situated on a private island in the River Thames at Bray, visitors will again have their very own private countryside escape to enjoy, surrounded by picturesque views and beautifully manicured gardens. 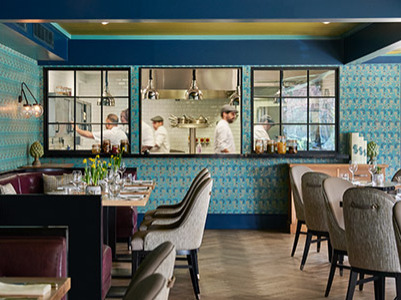 Following YTL Hotels' superb renovation, its luxury accommodation and acclaimed dining are the perfect addition to Bray, a village beloved of international gourmands for its four Michelin-starred restaurants. This is the latest stage in the amazing history of a small Thames island. Beautifully appointed guest rooms and suites have been created by New York-based, award-winning Champalimaud Design. 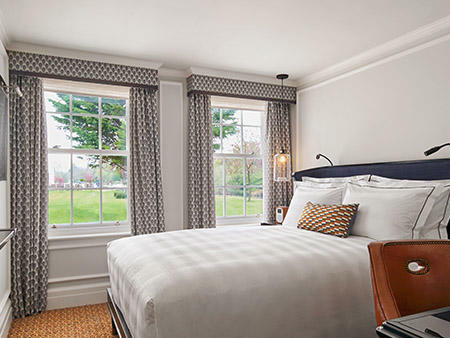 Reflecting a contemporary, English country house feel, each room is custom furnished and features breathtaking views of the River Thames or the stunning grounds.